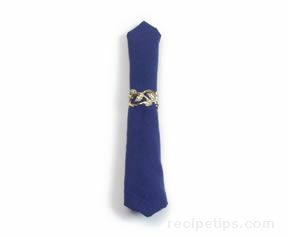 A kitchen utensil used to make a hot or cold mousse. 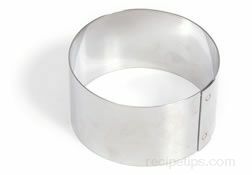 It is a circular shaped stainless steel or aluminum ring that is used to hold the rich, whipped ingredients that provide an airy texture to the dish being prepared. 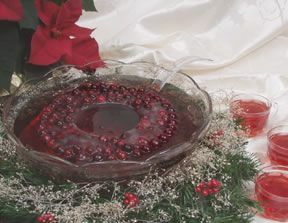 A mousse can be a sweet dessert made from pureed fruit or flavored custard mixed with gelatin, whipped cream and/or beaten egg whites, which is most often chilled or frozen in a circular ring or mold. Or a mousse can be a hot savory dish made with cheese, fish shellfish, meat, or vegetables that are combined with beaten egg whites to provide the airy texture common in mousse dishes. Since curdling will typically occur with egg whites combined with the savory foods, a water bath is used during the food preparation. 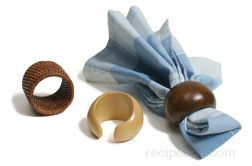 Mousse rings come in a variety of sizes and may be seamless or riveted together, creating a minor crease in the mold. They typically range in size from 2 inches to 12 inches in diameter and 1 to 4 inches high, depending on the dish being prepared. The mousse ring can also be used as a cake, pastry, torte, or appetizer mold as well as for speciality dishes such as rosti potatoes.